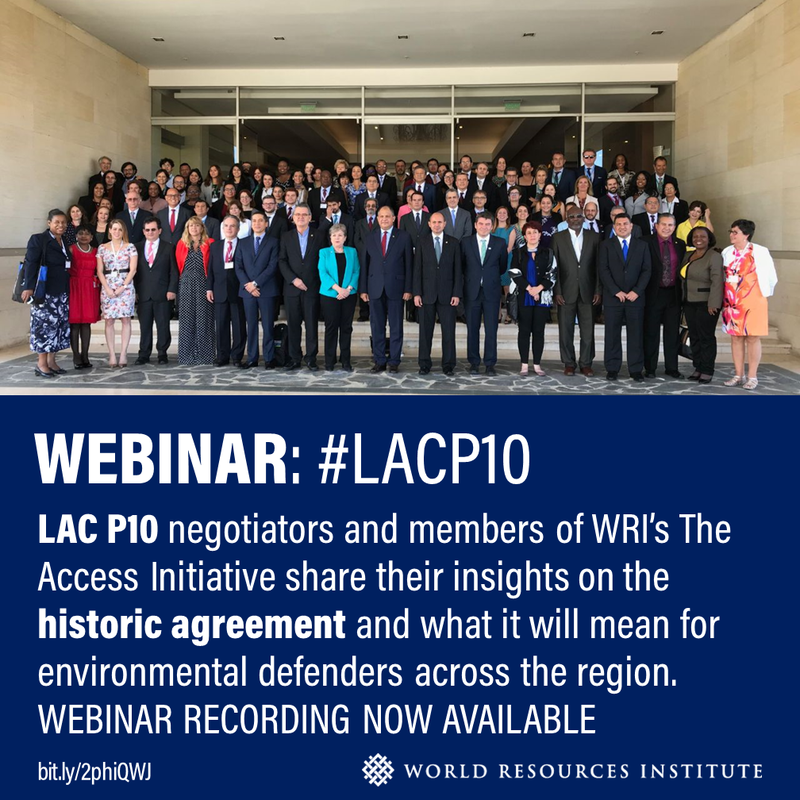 LAC P10 negotiators and members of WRI’s The Access Initiative share their insights on the historic agreement and what it will mean for environmental defenders across the region. This March, countries across Latin America and the Caribbean took a historic stand to safeguard the backbone of environmental protection: people. After a six-year negotiation process, governments adopted the Escazu Convention, also known as LAC P10. It is the region's first legally binding agreement on environmental rights, designed not only to protect environmental defenders, but also to make it easier for people to get information, participate in decisions that will affect their lives and hold powerful interests to account. Join environmental rights experts and activists from the Caribbean for a conversation on the landmark Escazu Convention. Speakers will share insights from the negotiations, discuss the agreement's potential social and environmental impacts, and outline steps that citizens across the region can take to support the ratification process.